With Euro 2012 upon us now seems a fine time to talk footballing platformers. There were a few of these about in the mid ‘90s – you could even say they were a minor fad. A lack of information available makes it hard to say which was first – Soccer Kid or Marko’s Magic Football. We do believe though it was Soccer Kid on Amiga that kick started it all. Awful pun intended, there. Sorry. This globe trotting adventure saw Soccer Kid travelling to England, Italy, Russia, Japan and the USA to find five shattered pieces of the World Cup trophy. Why were the pieces shattered? Because an alien tried to steal it for his treasure collection, only for his UFO to collide with a satellite. Obviously. Responsive controls and jaunty music gained this one a lot of fans. There were some good ideas too, like being able to stand and bounce on the ball to reach higher areas. Bosses meanwhile included sumo wrestler and a Pavarotti lookalike. 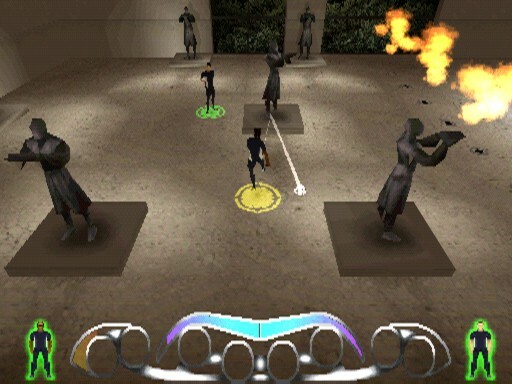 The Jaguar version was released in 2000 – long after the system was available to buy on the high street – while the PSone version was a very late release, arriving in 2003. Oddly, the name was changed to The Adventures of Kid Kleets in the US. This one didn’t receive a daft name when released in the US – across the pond it was simply known as Marko. 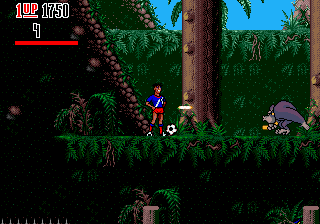 Domark’s effort was easily the best of the footballing platformers due to Marko himself being a likeable character. He was popular enough to have a strip in Sonic the Comic, and the plot was creative, involving an evil toy manufacturer turning people into sludge monsters. 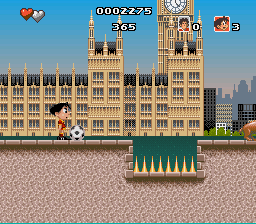 Although Marko was able to kick the ball at enemies, speed-runs on YouTube suggest you’re better off forgetting all about the football and to just run through the levels – after getting hit you’re invincible for a few seconds. The SNES version had two additional moves not found in other versions. ’90s console exclusivity, there. If you’re ever able to try out the Game Gear version then do so – it’s one of the system’s best looking games, with some very smooth animation. Incidentally, the Mega CD version is worth a little bit of money now too. Based on the oft-forgotten cartoon series, this one had something the aforementioned lacked – a choice of characters. 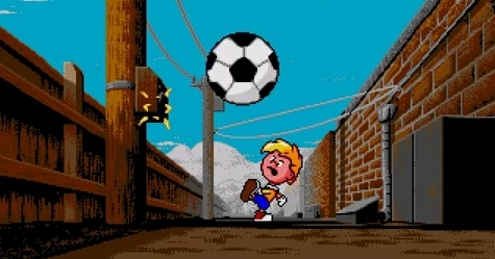 The ball also repawned next to the character’s feet instantly unlike in Soccer Kid where you had to wait five seconds or so. The way characters were able to jump around with the ball seemingly super-glued to their feet looked more than a little nonsensical. It’s also odd that most of the collectables were burgers. We can only assume that the developers were unable to draw slices of orange. The SNES and Mega Drive versions were different to one another – the Mega Drive adventure started off in a jungle while SNES owners were greeted with a tropical island setting. 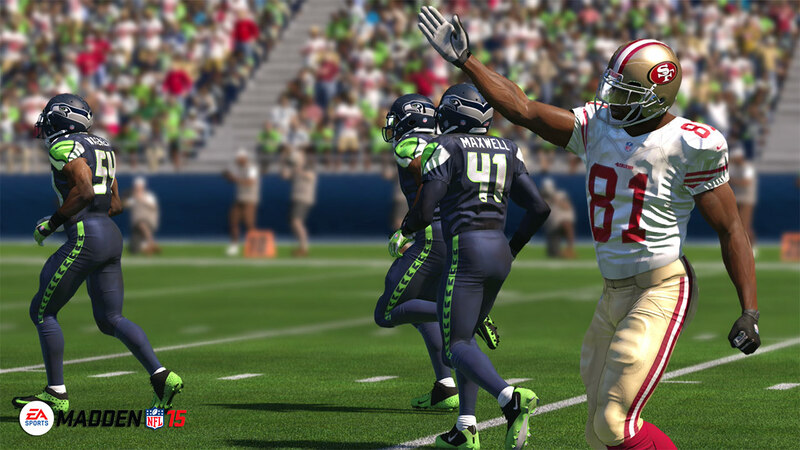 Another licensed game, but a very odd one – this was actually based on a Nike TV commercial. Like all of French publisher Microids’ games it was flipping terrible. If the controls didn’t put you off, then the camera would have done. It still has a degree of novelty value about it though – there can’t be many games out there based on adverts. 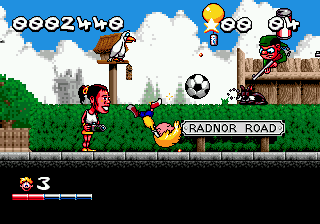 After releasing David Beckham Soccer on a mixture of formats – which featured promotional posters with a joypad port rendered in the middle of Beckham’s head – Rage clearly thought that they’d be able to get a bit more money out of the license by creating this Game Boy Advance platformer. Go! Go! Beckham is often likened to Super Mario World, set on an island where the animals had been turned into enemies by the evil Mister Woe. At the end of the level Beckham was even given the chance to score a goal in order to bag a bonus. Rage folded shortly after it was released but Developers Denki are still around today, having most recently finished the rather decent Xbox Live Arcade word game Quarrel. We wouldn’t be surprised if there’s a football platformer or two on the App Store, but the fact that searching for ‘football’ brings up over 3,000 search results puts us off looking. We’re a dedicated bunch, but not that dedicated.